The forementioned prodcuts represent a small segment of many products available on the market right now, making life easier and more visual. Monitoring our homes and the activity happening in them is helping us to live and play better. Here is a video showing of Ford's newest form of Sync 3 Technology which is scheduled to be installed in 60% of Ford Vehicles hitting the market in 2015. The name is not super fancy but Sync 3 does kind of lead our ideas and expectations toward being connected to other devices or resources. Ford does not disappoint either. The home scree in some of the newest Ford Vehicles will be equipped ith an organized mapping system which includes media applications, phone contacts, and climate information. 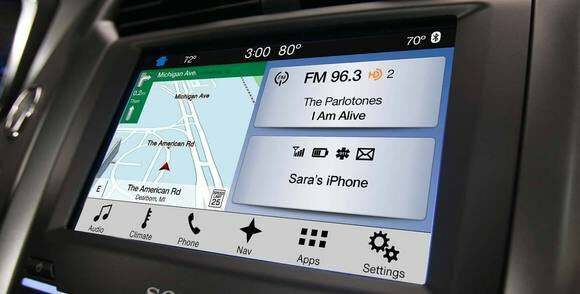 Navigation is, of course, one of the main features of Sync 3's Infotainment System. In case you are wondering, yes that means you will be able to sync your music, phone contacts and whether conditions in various areas while you find your way around during travel. Besides having one box search for destination entries done by hand, Ford makes it easy by equipping these new model vehicles with voice recognition so that drivers can search Fords Location Database to make finding their destination easier. Pinching and zooming on the touchscreen provides more control, giving users a modern computerized experience. This new technology will be available in 3 out of 5 Ford Vehicles in 2015. Home Connectivity is one way to stay connected and create your own smart house environment. Another way for us to use modern technology to our advantage is to take technology with us on the road. Sync 3 Infotainment is a great way to move your technology experience to the next level. Sirius Radio move over.